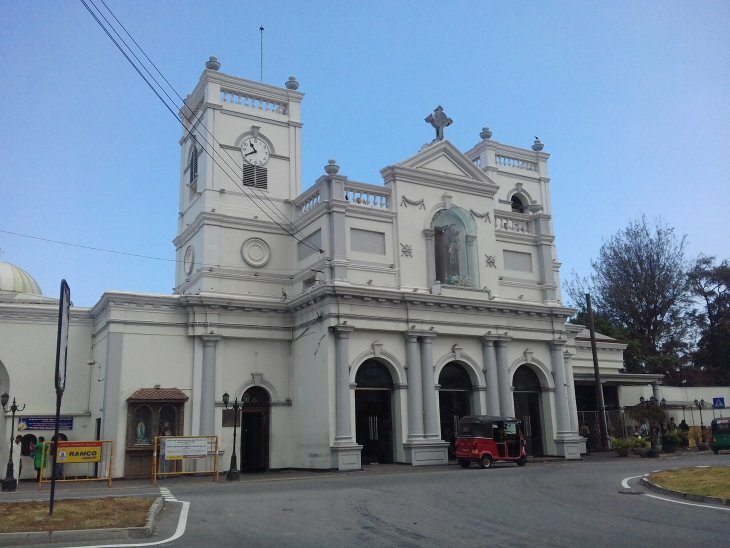 The terrorist attacks on churches and hotels in Sri Lanka on Easter Sunday have spawned many questions about the return of violence to Sri Lanka after a 10-year hiatus following the defeat of the Tamil Tiger (LTTE) terrorists in May 2009. The first thing to understand is that the terror attacks have no bearing on the internal politics of Sri Lanka. Neither are these attacks tied to any inter-ethnic, nor inter-religious questions reflected in current political discourse on the island. During the civil war, terrorism in Sri Lanka went abroad; for example, the Tamil Tigers assassinated the Indian PM, Rajiv Gandhi. This time, the world (Middle East) seems to have come to Sri Lanka. So why Sri Lanka? The answer is simply that Sri Lanka offered a soft target. I am of the opinion that the relations between the religious groups will not be soured by these actions, but that the immediate days following the attacks have shown that people are unified, condemning terrorism rather than the religious faiths of others. There have been some incidents of vengeful violence against Muslims, which the police and security forces need to address and tamp down on quickly. But overall it seems that civil society in Sri Lanka has come along way, unfortunately baptized by the fire of a 30-year civil war and decades of mass terrorism. So why Sri Lanka? The answer is simply that Sri Lanka offered a soft target. Within that scenario, the churches, particularly Catholic ones, offered greater softness in terms of access and the number of targets. Five-star hotels in Sri Lanka today are also soft targets because after decades of civil war, when even ladies’ hand bags were searched before entering a hotel, none of this exists today. What explains this? Why the laxity in security? Civil society in Sri Lanka has come along way, unfortunately baptized by the fire of a 30-year civil war and decades of mass terrorism. This can be partly explained as a result of the “success” of the post-war peace in Sri Lanka—little studied and little understood. One might recall the bloody ending of the civil war in May 2009, when the government, with little regard for the international community´s misguided calls for the Sri Lankan forces to cease hostilities, utterly defeated the Liberation Tigers of Tamil Eelam. Immediately following the war, the government, without much help from an alienated international community, successfully reintegrated 15,000 former combatants and resettled several hundred thousand internally displaced, including 200,000 civilians that had been taken as a human shield. Considering all this disruption, displacement, perhaps even built up hatreds, little to no interethnic violence and retaliation has been recorded in these past 10 years—so much for theories of ethnic conflict. Consider also that for a civil war that had thousands of suicide bombings and entire squads of suicide bombers that were trained by the Liberation Tigers of Tamil Eelam, not one known attempt of a suicide bombing has been recorded in Sri Lanka—trains and busses travel freely between the South and North every day. In other words, there has been little to no violence between the so-called warring ethnic groups in 10 years. Hurrah for peace! Of course, successful peace has now given way to security failure, but the hope is that lessons will be learnt to prevent the next one. Democracies do badly when fighting terrorism and insurrections, which leaves a lot for us studying civil violence to understand better. 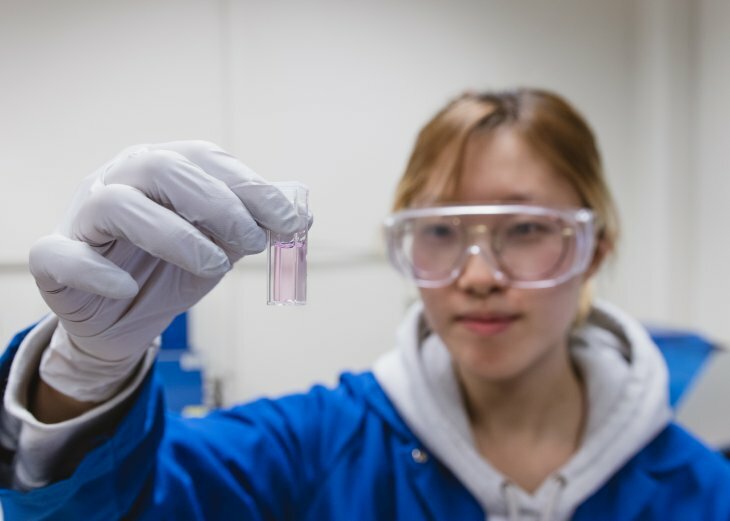 Indra de Soysa is an external associate at PRIO and a professor at NTNU: Norwegian University of Science and Technology. His research interests include the field of political economy and questions relating to the causes of war and peace, governance, and development. He is originally from Sri Lanka. It is claimed that the UN created Israel. This is only true subject to major reservations, and the relationship between the two is extremely complicated. On 14 May 2018, Israel celebrated its 70th anniversary, and in May this year it will be 70 years since the country became a member of the United Nations. These coinciding dates do not change the fact that throughout its existence Israel has had a very ambivalent relationship with the UN. The country’s first prime minister, David Ben-Gurion, often used the condescending phrase “Oom-shmoom” to refer to the international organization. The problematic relationship continues to this day. 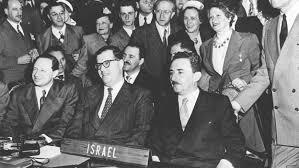 On May 11, 1949 the UN General Assembly votes 37 to 12, with 9 abstentions, to admit Israel as a member state, making it the 59th member of the United Nations. We see this clearly when Israel on the one hand claims that UN organs such as the Human Rights Council and the General Assembly are virulently anti-Israeli, while on the other hand benefiting from the virtually automatic American veto of resolutions criticizing Israel in the Security Council. Another example is Israel’s attitude to UNESCO. 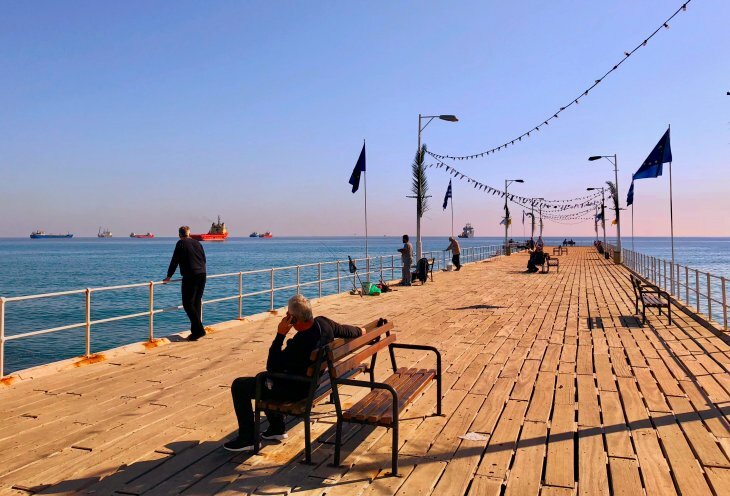 On the one hand, Israel announced its withdrawal from UNESCO in 2017, but the country continues to benefit from having nine places on UNESCO’s list of World Heritage Sites. Women in veils console each other in front of a sign that reads “All are welcome in Aotearoa” (Aotearoa being the Maori name for New Zealand) at the Deans Ave floral tribute to the victims of the March 15th terror attacks. Photo: James Dann via Wikimedia Commons. And yet this is us. 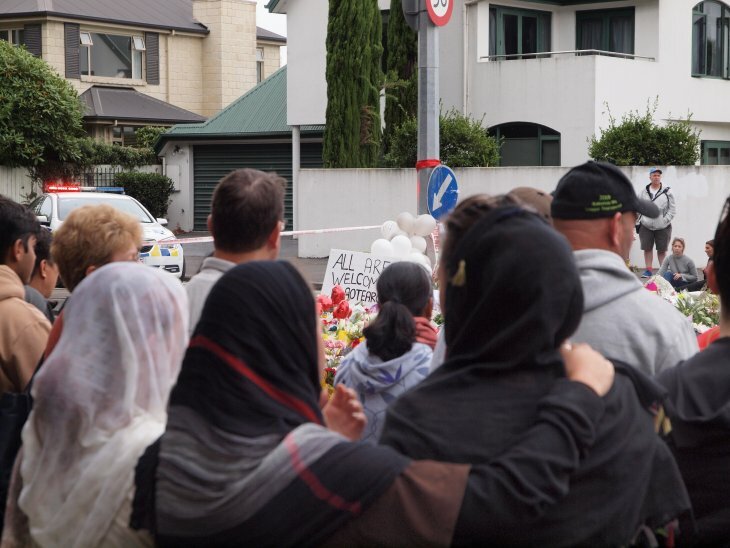 While the gunman was an Australian born citizen – and much is being made of this in both NZ and Australia – he was able to live in and plan his attack as a resident of Dunedin, a city that is a five-hour drive to the south of Christchurch. He was able to procure his gun license in November 2017, practice his shooting techniques at the local rifle club and purchase successive weapons online from the Christchurch store, Gun City. He converted one of his purchases into a semi-automatic weapon. As Kiwi journalist Steve Braunias writes, it would be false to describe this event as New Zealand’s end of innocence. 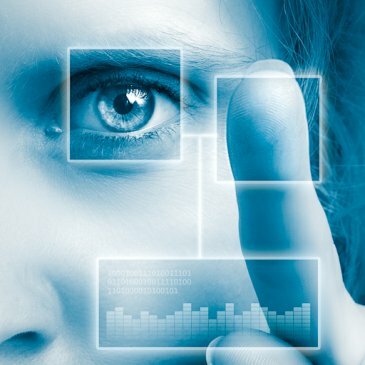 Biometric technologies are rapidly becoming integral to the governance of populations world-wide. Contemporary societies are networked by advanced biometric technologies of identity management that were inconceivable just a couple of decades ago. A report by Nina Boy, Elida K.U. Jacobsen and Kristoffer Lidén addresses the widespread ethical issues raised by the increasing use of biometric technologies. It concentrates on the social and political effects of novel governmental schemes of policing, surveillance and identity management that combine biometric information with cloud based computing and the automated analysis of big data. An evaluation of the Eastern Mediterranean hydrocarbons situation requires realism, thinking outside the box, taking nothing for granted, appreciating the sense of urgency and a pragmatic assessment of the international environment. Could There Be War in South Asia? A sinister mixture of geopolitical changes, nationalist sentiments, and election campaigns now has the potential to generate one of the world’s most dangerous security crises. On 14 February, a terrorist attack in Pulwama in the Indian state Jammu & Kashmir killed more than 40 Indian Central Reserve Police Force (CRPF) paramilitary troopers. This was the deadliest terror attack witnessed in decades of the insurgency in Kashmir and was carried out by the Pakistani based group Jaish-e-Mohammed (JeM). A furious India promised revenge, while Pakistan denied involvement. India immediately took steps to isolate its neighbour politically and economically and Indian PM Narendra Modi made clear that there would be a military response. 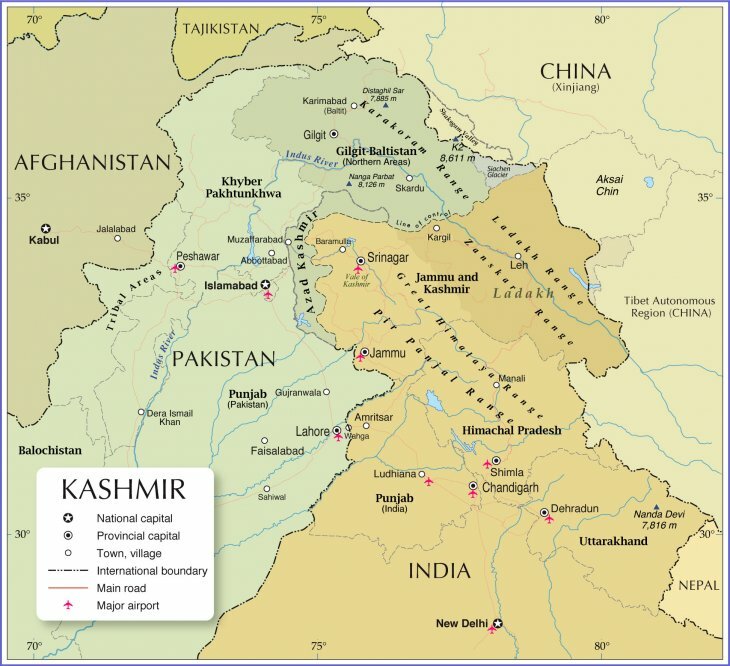 On 26 February, Indian aircraft bombed targets behind the Line of Control (LoC) that separates the two nuclear powers in the disputed region of Kashmir. The two countries disagree about the effects of the airstrikes and the conflict took a new turn when it appeared that Indian Wing Commander Abhinandan Vartaman had been shot down and taken into custody by Pakistan. The pilot was soon returned in what PM Imran Khan called a peace gesture. What is the larger historical and geopolitical context of this latest flare in the conflict between India and Pakistan? What is the larger historical and geopolitical context of this latest flare in the conflict between India and Pakistan? South Asia is home to almost two billion people, or a quarter of the world’s population. The region can be analyzed as an international political system that consists of the countries India, Pakistan, Bangladesh, Sri Lanka, Afghanistan, Nepal and Bhutan. In addition, China, Iran, Russia and the United States are involved as third parties to varying degrees. But the international system that comprises South Asia is in a state of change. Write about a book that has been particularly important for me? A difficult task! In those formative youthful years when one is attempting to shape one’s identity, in the profession as well as in society, many books and articles exert an influence – now in one direction, then in another. I could have mentioned Johan Galtung’s Forsvar uten militærvesen [Defence without armed forces] (1959) which contributed to my conversion to pacifism, as well as to my becoming a peace researcher. Or Erich Fromm’s The Sane Society (1955), which almost turned me into a Utopian socialist. Or Hannah Arendt’s Eichmann in Jerusalem (1963), which made me aware that atrocities could be committed by bureaucrats. Or my first sociology textbook, Erik Allardt and Yrjö Littunen’s Sociologi (1962), which used an example from Paul Lazarsfeld to introduce five ‘self-evident truths’ on the first page, only to go on to reveal that all the assertions were empirically incorrect. Or of course Aschehougs konversasjonsleksikon, the encyclopedia that I grew up with, or the expanded version, Store norske leksikon, that was my children’s childhood companion. Or I could simply have capitulated and said (which is true) that I am a slow reader and not particularly patient, so that I was influenced significantly more by articles than by books. 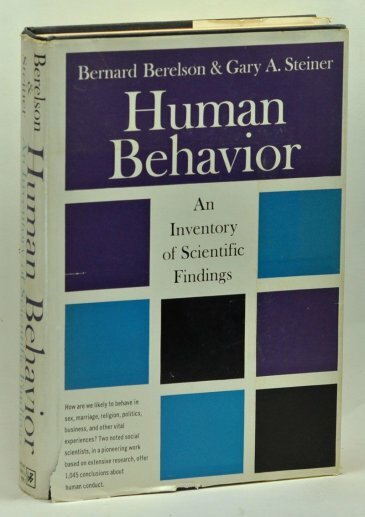 However, I have chosen Human Behavior: An Inventory of Scientific Findings by Bernard Berelson & Gary A Steiner (Harcourt, Brace & World, 1964). This book attempted to summarize everything that – at the time of its writing 50 years ago – was considered reasonably certain knowledge in the field the authors call behavioral science, with a primary focus on psychology and sociology. They catalogue this knowledge in the form of 1,045 findings, grouped into 14 chapters. So, this is not a book for reading from cover to cover, but rather a resource for looking things up and use as an aid within one’s areas of particular interest. Its similarity to a dictionary may help to explain why I fell for it. Another explanation is that my copy of this book was a gift from my mentor, Johan Galtung, when I started working at the Peace Research Institute Oslo (PRIO) as a research assistant in 1964, the same year as Human Behavior was published. At about the same time, Galtung wrote a lyrical review in Dagbladet, where he described the book as an example of ‘a book that concludes one epoch and introduces the next’ (1). The media has yet again turned its attention toward the women of ISIS. 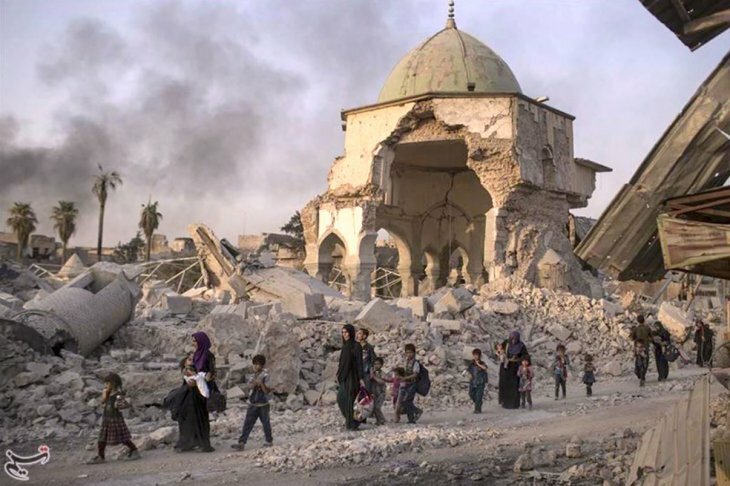 Currently ISIS only occupies one square kilometre of the so-called caliphate they once had, and as the final battles to regain former ISIS-controlled territory are unfolding, more and more ISIS fighters’ wives or widows have ended up in refugee camps all over Syria and Iraq. These wives and widows no longer have a caliphate to look to and many are reaching out to their home countries for assistance to return home. Many do so with the hope of providing a better life for their children. 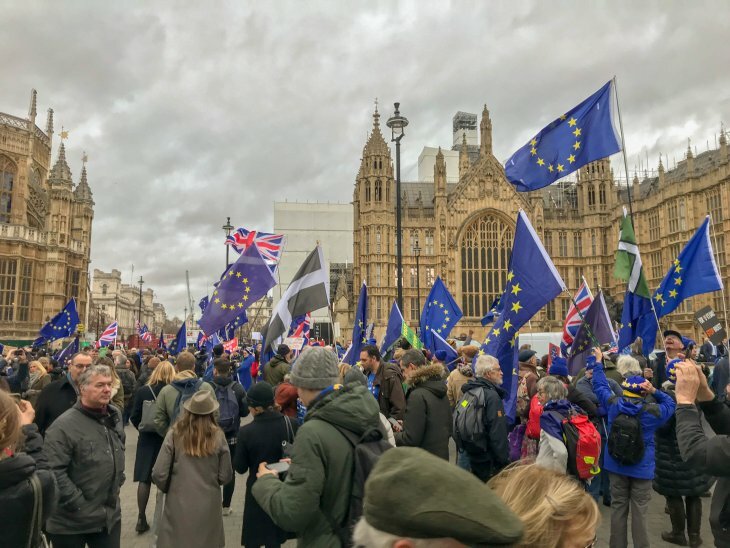 Like every peace settlement, the Good Friday Agreement is a compromise document, the result of a long and difficult bargaining process that should be properly understood.